The juvenile and adult plumage of the Broad-winged Hawk is similar to the juvenile and adult plumage of the Cooper’s Hawk. A large flock of migrating Broad-winged Hawks (and other raptors) is known as a "kettle." Adult Broad-winged Hawks can sometimes fall prey to other raptors, including eagles and Great-horned Owls. 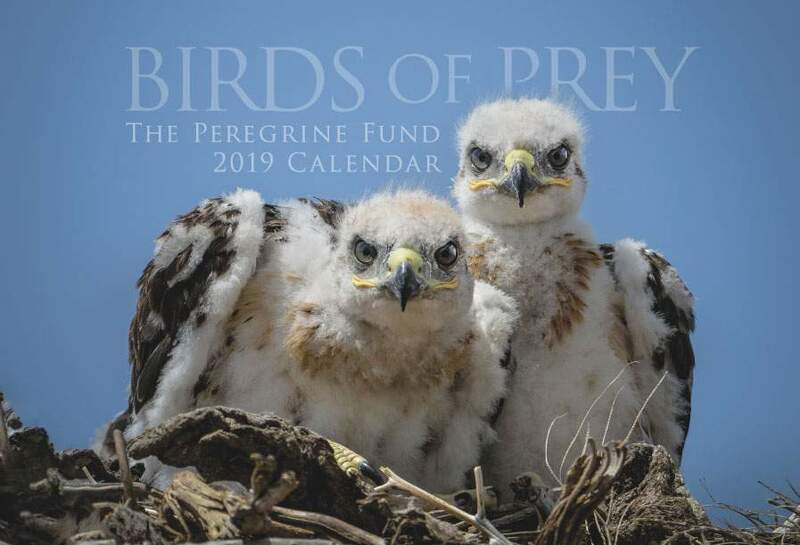 Though The Peregrine Fund doesn't work directly with Broad-winged Hawks, our efforts in scientific research, habitat conservation, education, and community development help conserve raptors on a global scale. We also supply literature to researchers from our avian research library, which helps scientists around the world gather and share important information on raptor conservation. Broad-winged Hawks breed in North America. Their breeding range extends from south-central Canada, including central British Columbia, central Manitoba, southern Quebec, and Nova Scotia, to parts of the eastern United States, including eastern Texas, the Gulf Coast, and northern Florida. Like many raptor species, these lovely hawks migrate south in the winter in search of warmer climes and more abundant food sources. Changes in season and day lengths, among other factors, tell the Broad-winged Hawks it is time to head south. Most leave North America to spend the colder months in Central and South America, though a few overwinter in Florida. However, there are five subspecies of Broad-winged Hawks found on the Caribbean islands that generally do not migrate. Can you guess why? The relatively stable climate of the region provides them with a year-round home that has enough places to roost and nest and plenty of food to eat. Broad-winged Hawks live in low- and middle-elevation forests. They often breed in decidous or mixed forest areas, often near bodies of water and far away from human activity. On their wintering grounds, they occupy forested areas, including older stands of second-growth, forest edges and even small stands of trees in otherwise cultivated areas. If you have ever had the chance to see a Broad-winged Hawk soaring across the sky, it is quite clear how this species got its name. In silhouette, one can easily see that it does, indeed, have broad wings, as well as a relatively short, square tail. The Broad-winged Hawk has a rusty-colored head, a barred chest and thighs, a grayish back and a tail with alternating white and black bands. Though not very common, there are some "dark morph" Broad-winged Hawks. As the term implies, these individuals are overall very dark, but they still have the characteristic banded tail. The Broad-winged Hawk is generally solitary, spending most of its days on its own. During breeding season, it spends time with its mate and its young. However, during migration, these hawks take group activity to the extreme. Broad-winged Hawks migrate in very large numbers – up to thousands at a time – and often travel in mixed flocks with other species including Swainson's Hawks and Turkey Vultures. When in migration, this beautiful hawk soars a great deal as it uses thermals to travel long distances. During migration it can travel 1,800 to 3,800 miles (3,000-6,000 km) on the journey between breeding grounds in Canada and the United States and wintering grounds in the southern United States and Central and South America. It can take two months or more to complete the migration route. When not soaring, the Broad-winged Hawk spends most of its time perched at or below medium height in trees, often in semi-open areas. The Broad-winged Hawk is common and fairly widespread over forested regions in North America. In fact, in some areas, its population may be increasing. However, the subspecies that lives in Puerto Rico is endangered. The biggest threats this raptor faces include habitat destruction, hunting, poisoning, and collision with vehicles. 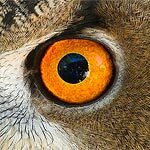 Because the hawks spend half of the year in North America and the other half in Central and South America, they may be particularly vulnerable. Essentially, they are very dependent on having healthy wintering and breeding grounds, as well as healthy points along the way where they stop to rest, eat and regain energy. Environmental and human threats in any one of these areas could be detrimental to the species as a whole. Broad-winged Hawks, like other raptors, are meat eaters. They have quite a varied diet, and their menu may differ somewhat from season to season. 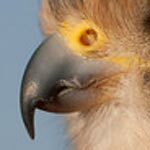 Generally speaking, these hawks feed primarily on small mammals like voles and chipmunks, as well as reptiles and amphibians, including frogs and lizards, and small birds. They also sometimes feed on snakes, crabs, and insects, such as grasshoppers. They hunt from a perch concealed within trees or at the edge of a clearing. More rarely, they fly at treetop level in search of prey. They sometimes take advantage of grass fires to catch fleeing prey or feed in burned fields. Like most bird-eating raptors, Broad-winged Hawks pluck the feathers from birds prior to eating them. They even might peel the skin from snakes or frogs before beginning to feed. Broad-winged Hawks are ready to find a mate and begin breeding when they are around two years old. When the time comes, males must work hard to court a female. They perform some amazing aerial acrobats, such as steep dives and turns. Similar to some other raptor species, the male and female hook talons in mid-air and spiral aruond and around, plunging down toward the earth, then releasing their talons and flying upward right before they reach the ground. This is a breathtaking thing to witness and may help secure the pair bond. After a male has attracted a female, the pair works together to build a nest made of large sticks and often lined with moss and bark. It is usually located close to the tree trunk. The female lays 2-3 eggs, which are white with brown markings. When the chicks hatch, they are covered in fluffy white down and are entirely dependent on their parents for food. The adult female does the majority of caring for the young. When a male brings food to the nest, the female rips off tiny pieces of meat and feeds them delicately to her chicks. When it comes to defending the nest from potential predators, however, both parents spring into action. They stoop and dive after any animal they perceive as a threat, including crows, owls, and raccoons. Over a period of several weeks, the chicks grow quickly. After about five weeks, they are able to leave the nest and begin flying. They usually remain in their parents' territory for a few more weeks to hone their survival skills before heading off on their own. The World Center for Birds of Prey offers fun ways to learn about birds of prey. The visitor center offers interactive displays, tours, interesting videos and a children's room with activities from coloring sheets to quizzes to costumes and a touch table for the curious mind. We also have several different birds of prey on display year-around. Knowledgeable staff and volunteers are on hand to answer any questions you may have about Broad-winged Hawks or any other birds of prey.